We tend to think of an art object as one thing for all time, with one intention, rather than being a living changing thing, with, alas, a finite life span, and a cluster of historically changing perceptions and expectations on the part of viewers, which is far closer to the truth. There was a lot of resistance to the restoration, some by very intelligent people. The idea that the overpainted and smoke darkened images were Michelangelo's original intent took hold because it was thought that, being a sculptor, he would have worked only in chiaroscuro and modeling, with value (light and dark contrast) and not with color. 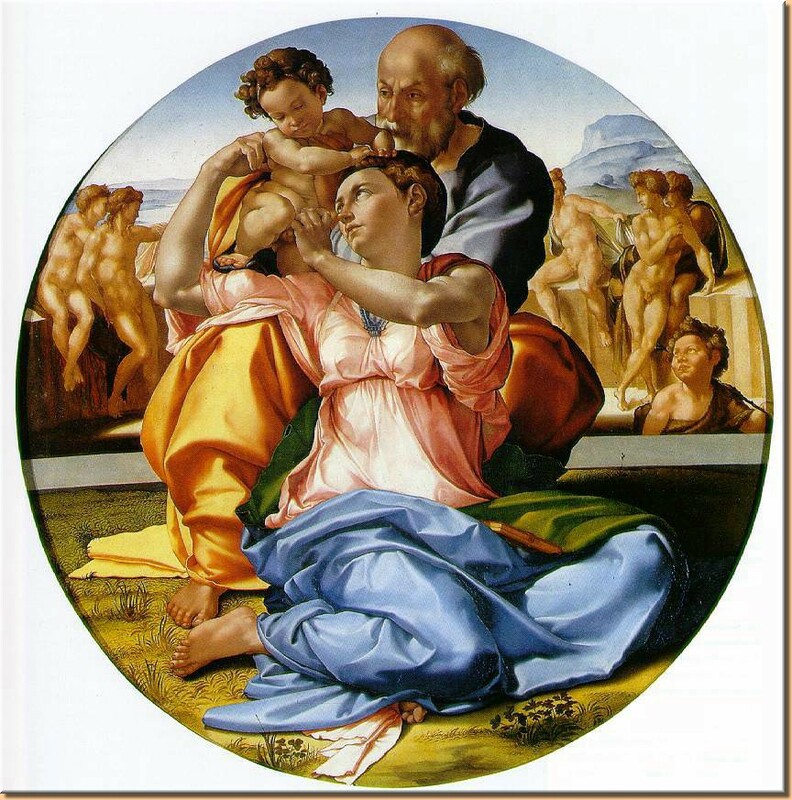 So the idea of Michelangelo as a sculptor in paint, and of Raphael as the one who used color and line grew with time. In fact, if you read Michelangelo and the Pope's Ceiling you'll see all kind of evidence that he intended to work in boun fresco (painting into the wet plaster) almost entirely, in which almost everything was built directly into the plaster with a vivid pastel-colored palette. Hence, the outer layers of paint would not be his. A lot of the retouching was done over the soot and dust layers by restorers who were not yet alive when the ceiling was painted, and they tended to match what they saw. Now to create a ceiling that "holds" for the viewer at such a distance, he'd naturally think of using more brilliant color than he might have used on a wall that could be seen on close inspection. In reproduction, these restorations seemed too garish for people whose expectations were based on what the Sistine Chapel had looked like. In place, they work well. You can see that this is a misconception that Michelangelo never used rich colors in his painting by looking at The Holy Family, a work in tempera (right). All the sculptural quality is there--look at St. Joseph's forehead, and St. Mary's biceps!--but the color is a significant design element. Doubtless the restored version will develop a patina with time; perhaps the way it will look in a hundred years will be how he "intended" it to look, who knows? I doubt the prerestoration state is the way he intended the work to look, however.